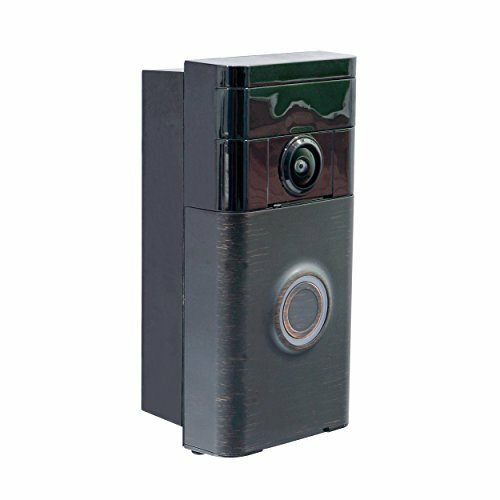 The DBA1B is specifically designed to work with the Ring Doorbell and Doorbell 2 for adjusting the viewing angle, Adding each plates will give a 20 degree viewing angle towards to the right or left, the kit comes with 2 plates which will allows to adjust up to 40 degree left or right. Installation can be done with in 5-10 Minutes. please note that this version will not work for the Ring Pro Doorbell, the pro version will need the DBPA1B adapter. This adapter is not original equipment from The Ring DoorBell Company. If you have any questions about this product by Dyconn, contact us by completing and submitting the form below. If you are looking for a specif part number, please include it with your message.